MONKEYS ARE MY FRIEND: Knitting Has Happened! This post is a little delayed (I've been a bad blogger (and knitter!) lately, but I'm trying to catch up) but I've finished sock pair number 22 for the year! 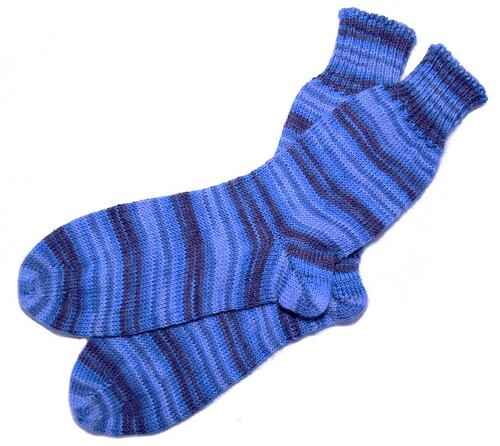 This pair was made as a birthday present for my aunt's eightieth birthday - eighty years old definitely deserves hand knit socks! They are gorgeous and she loved them! Great picture of Gracie! 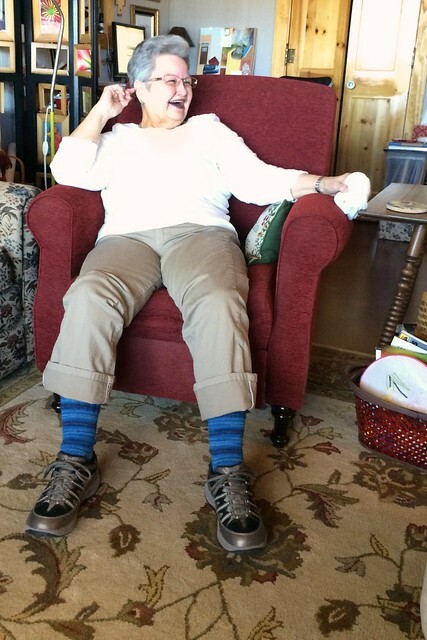 I like pictures of people enjoying my socks! :D Okay, so she's enjoying conversation while wearing my socks... it still counts!